Here in Canada, we celebrated our Thanksgiving two weekends ago. In the USA, this holiday of gratitude and geniality (let's not get into the historical origins here & focus on moving forward together, you know?) is marked in November. In between, we both look forward to some Halloween fun. One thing I'm sure many teachers are thankful for is that the post-Trick-or-treating candy crash can happen quietly at home this year instead of in our schools. Many of us think of how we can help others around these holiday seasons. I'd like to offer up to you a graphic organizer to prepare students to give a presentation... a persuasive one to help your class or school charitable club decide who to support with their efforts at fundraising or other types of giving. We selected a recipient within the microfinancing web tool Kiva, but you can certainly help out closer to home, or find another way to lift up others in our global village if you wish. 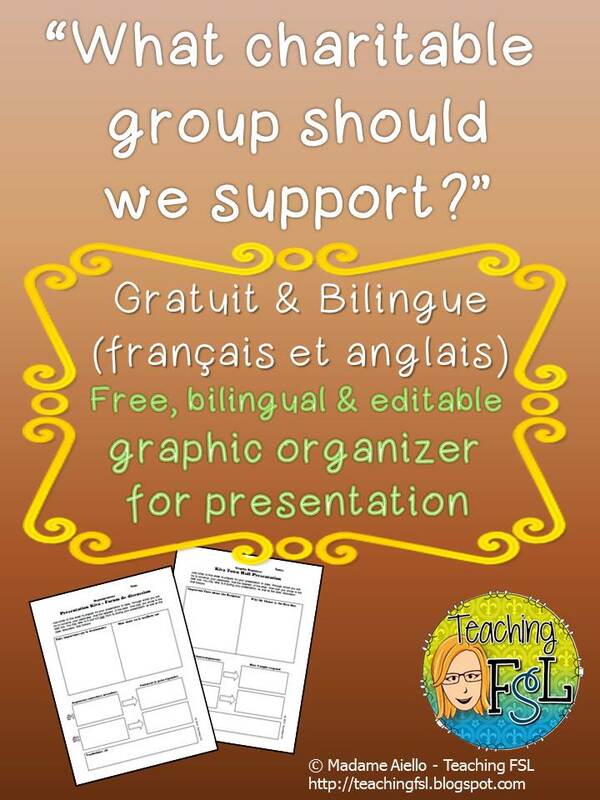 Use this in French Immersion, Core French as well as in standard classes or organizations, since I've included three different versions (including one completely in English) from which you, or your students, may choose. Did I mention that it is EDITABLE? 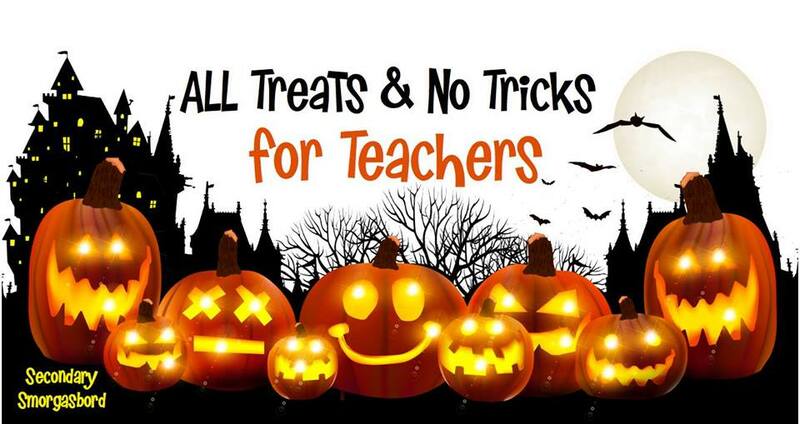 Change it to suit your own students' needs! I just ask that you share the original link with other teachers along with your own. Thanks once again to Pamela and Darlene who are the masterminds behind this wonderful monthly opportunity for secondary edubloggers to show that WE care about sharing and connecting just as much as our kind-hearted and helpful primary colleagues!